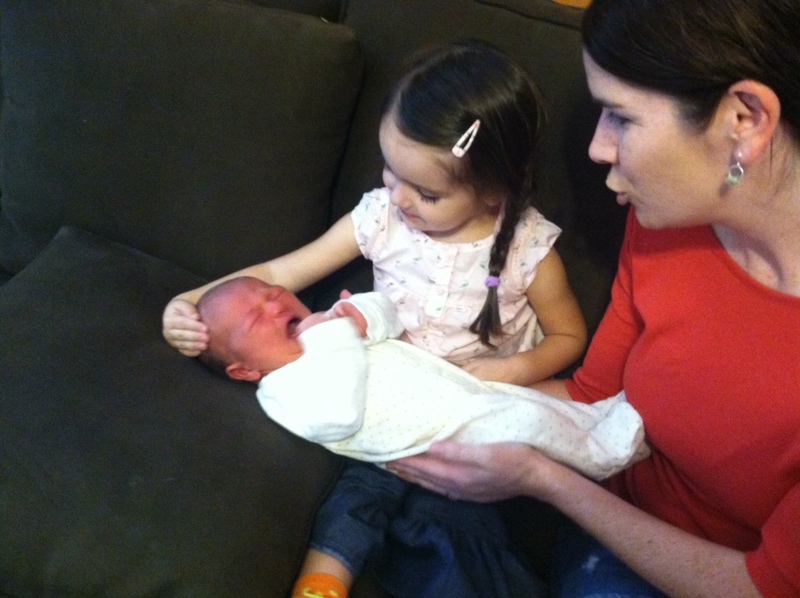 Both kids have met baby Hazel. And to have met her is to LOVE HER LIKE CRAZY! These kids ask to see baby Hazel’s picture every day. They just love babies!! And a baby cousin of their very own is the best!! 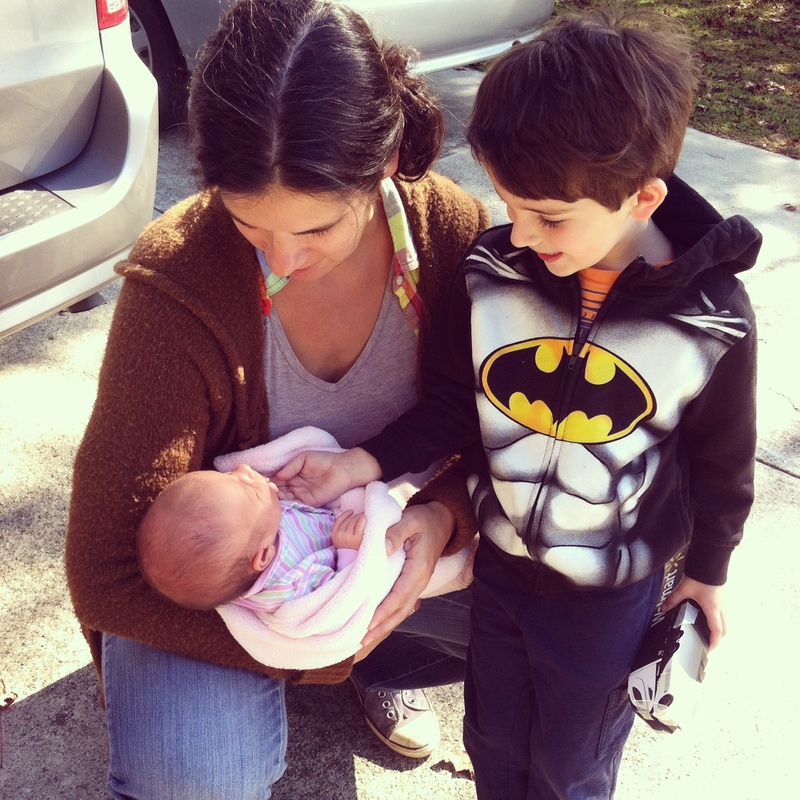 Alice was able to meet Hazel after only a few days, but Tom had to wait a whole two weeks — but I let him skip school to do it. He was thrilled. 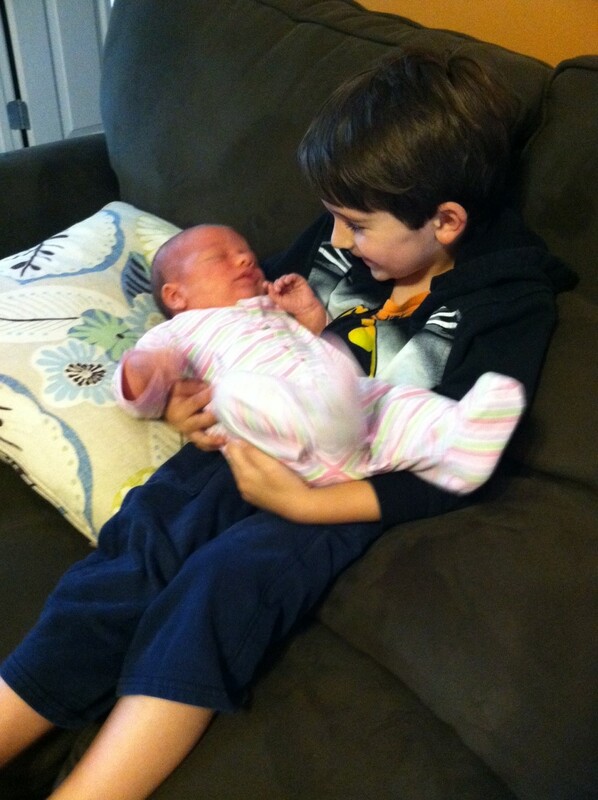 Tom immediately wanted to hold baby Hazel. I think he wanted to pick her up. He is just the sweetest when it comes to babies. He talks to them, and tries to get them to smile. He isn’t at all put off if they cry. He loves them! I think Hazel totally knew the boy holding her loved her very much. Alice also wants to hold the baby. When we visited after a few days, Alice was able to hold her — and she was thrilled! She held her very good, and tried to calm her down and snuggle her close. 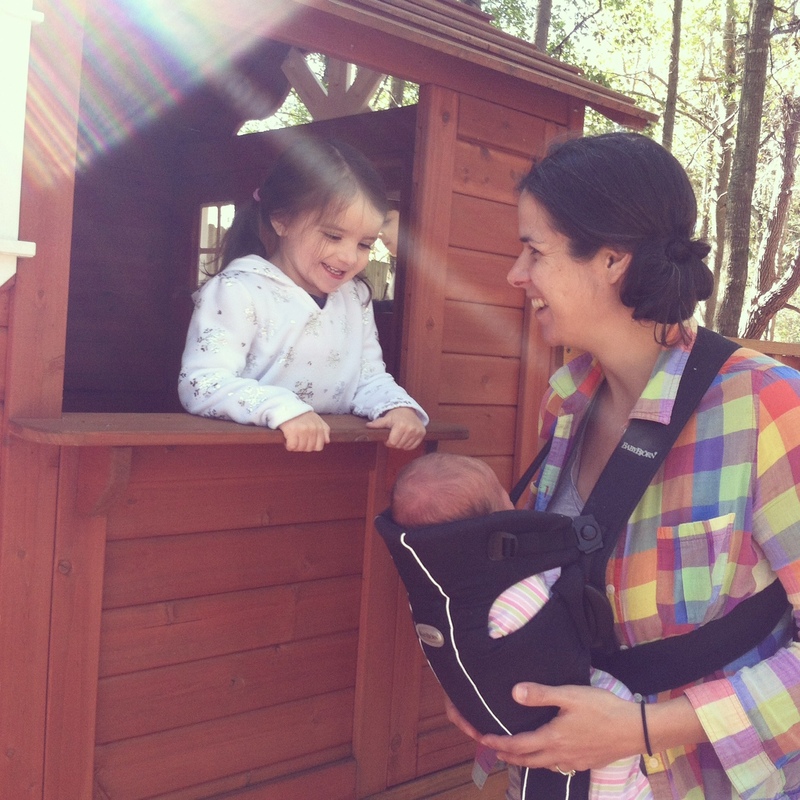 When Alice went back with me and Tom to visit — she had a bit of a cold, so we didn’t want her to hold Hazel that time. So Rachel walked Hazel to Alice in the clubhouse so she could get a good look. And that was just as thrilling! My kiddos have loved having a baby cousin! 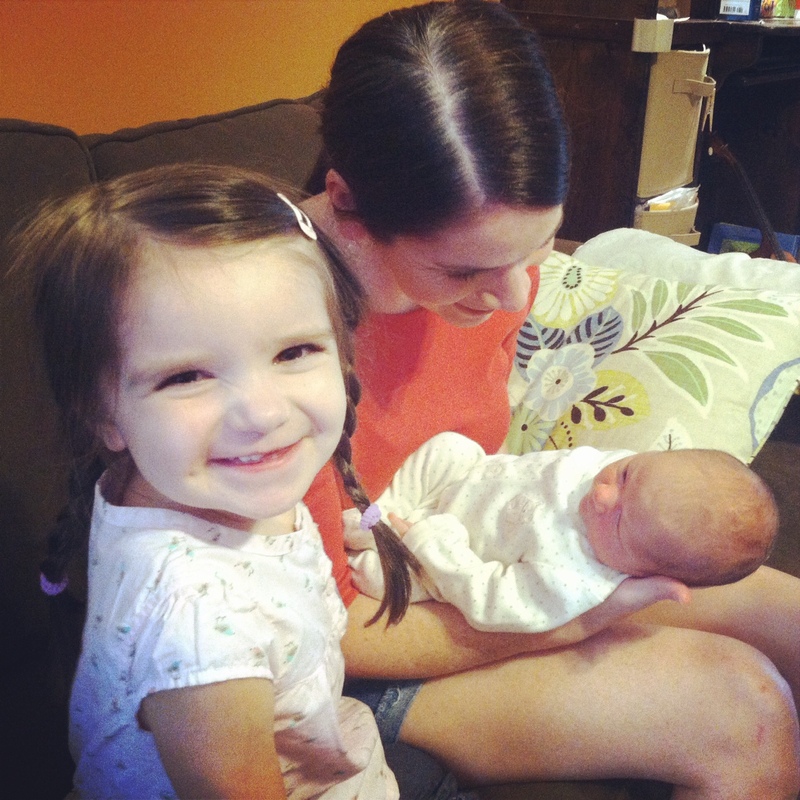 They really are thrilled and they can’t wait to hold her again soon! 2 Responses to Meeting Hazel. Does Alice name her baby dolls after people she knows? Emory, who is a month younger than Alice, has a little girl named Isabelle in her class and a doll named Isabelle and there is a baby named Teegan in our church nursery and she has named one of those baby dolls Teegan. She also LOVES babies. Almost too much! I love the pic of Alice cupping Hazel’s little tiny head. how cute is that? ?